Office Plants Can Improve Employee Productivity: Fact! Over the years there has been a lot of research conducted in order to establish if the use of office plants and foliage can help to improve worker productivity alongside improving the environment of an office. The results of these numerous studies proved unanimous and all produced similar results. Not only will the introduction of office plants into business premises improve the visual aesthetics and image of an office building but they will also work hard to improve the air quality and climate of an office, while enhancing the mood and work flow of employees. In order for employees to be productive it is essential that they are happy and feel comfortable and motivated in their work environments, only then will productivity improve. Creating a good indoor climate a must have for all office based businesses in order to achieve optimum performance from employees. In 1999 a study by the Oxford Brookes University entitled “Green Plants for the Feel Good Factor” found that for most people their perception of indoor space is more positive with indoor plants. 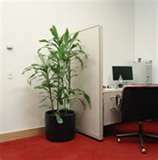 Participants of the study claimed that they felt much more relaxed and less stressed with office plants around them. 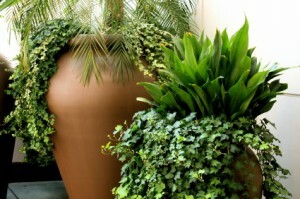 Indoor Landscaping: Don’t Be a Dinosaur — Go Green! Climate change and toxic construction materials have moved indoor landscaping and green building up on the list of priorities these days. Contractors are working closely with landscapers to create what the public wants. Consumers are increasingly pressuring builders, and their backers, to go green. Yes, those who fuel the economy have been listening to the science, and many feel that it’s either go green, or go the way of the dinosaurs. Green building represents something that today’s transitional generation does not have: the promise of permanence. 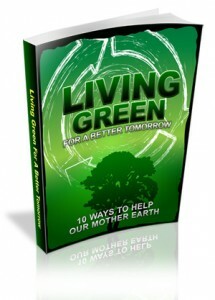 If we are to remain on this planet, the unspoken story goes, sustainable practices will have to become the norm. That may mean that every home will have a victory garden and it may not necessarily be outdoors. Professional indoor landscaping is a way to meet green building codes as well as to help our consumer culture make the transition from throwaway to sustainable. When we witness the life cycles of plants and the benefits of their qualities, we will be more likely to take up green practices. If you are planning a green building project or retrofit, consider what interior landscaping can do for you. Potted or integrated plants may count toward a builder’s or project’s LEED certification (named for the Leadership in Energy and Environmental Design program of the U.S. Green Building Council). Buildings that are LEED certified are projected to conserve water and energy and have a heightened comfort level compared with conventionally designed structures. 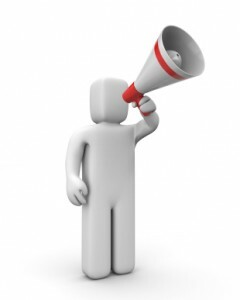 This makes them more attractive to buyers, tenants, workers and customers. 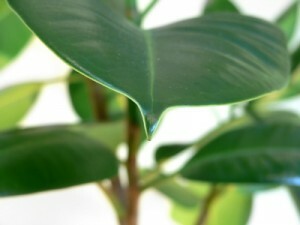 Office Plants Can Reduce Office Noise: Fact! Numerous academic studies have proven the positive effects that office plants can have in indoor environments. But can regular office plants really help when it comes to reducing office noise? The answer is yes, providing you know what you’re doing. For example, one small lonely office plant on the end of your desk is not really going to have much impact on noise reduction, strategically positioned office plants or planted office displays can however help you to dim sound levels significantly. Plants have been used fro many years externally to help reduce the levels of traffic noise from reaching offices indoors. Recent years have however, seen an increase in the number of office plants being used inside business premises as a means to reduce the levels of noise generated inside a building. Modern businesses are becoming increasingly concerned with interior decor and design elements as well as their primary business functions. Large corporations now spend millions of dollars getting the look and feel of their office premises just right and are all too aware of how important first impressions are with potential clients. When it comes to a client making a decision as to which company they wish to do business with, a professional and well presented company is much more likely to succeed. Now while you may be unsure as to what this has to do with plants, you would be wrong to assume that office plants do not have any impact on potential clients. Using office plants from a professional office plant specialist can provide you with numerous benefits but first and foremost the plant designs you are provided with will reflect and complement your company. Not only should this help to improve your company image and reputation in terms of providing an inspiring green environment for your employees but it will also make your office premises stand out and appeal to potential clients. Plants for People is an international organization with offices in the UK, Holland and Germany. 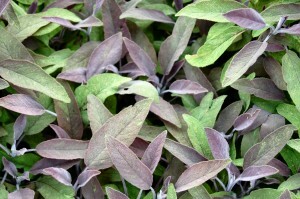 Their mission is to distribute information about the health-promoting benefits of plants. There has been a lot of research in the last 10 years that supports the scientific and academic research that confirms the research of Dr Bill Wolverton of NASA, He found that plants absorb toxic chemicals in indoor air. This is vital for people who suffer from breathing problems and health issues. It is becoming increasingly important as our indoor environments become more polluted than the air outside. Too often modern technology and man-made furnishing and synthetic building materials that emit VOCs (Volatile Organic Chemicals) into the air we breathe cause illness and breathing problems. No Air Fresheners at the Office Please! No one wants to be surrounded by foul odors all day, especially when you’re trying to get your work done, but beware of trying to mask those odors with commercial air fresheners! There is plenty of doubt surfacing as to whether or not these perfumed culprits are actually quite harmful to our health. If your office cleaning company uses natural green cleaning products, you should have no need for them in the workplace anyway, but many individuals like to have that little stick, or gel, or spray to chase away odors just in case. If you’re one of those people, here is a bit of information on the downside of air fresheners and also some tips on keeping the air fresh naturally! Office Plants in Profile – Ten of the Best! From a management perspective, office plants not only regulate humidity levels to help you stay in accordance with ‘Duty of Care’ legislation but they can also help to improve the aesthetics of your business premises and create a lasting impression. With more and more office managers realizing the importance of planted office displays a few key plants have been identified and highlighted for their particular qualities. Interior landscapers across the globe all tend to use similar species in their planted office displays for the simple reason that certain species do better in indoor climates.